The report on 'Human Rights in the context of social protests in Nicaragua' issued on 22 June by the Inter-American Commission on Human Rights (IACHR) has been rejected by the Nicaraguan government as 'subjective' and 'partial'. The heavily biased report, running to some 50 pages, makes not one mention of the kidnappings, torture and killings meted out against pro-government supporters and Sandinistas by the extreme right wing opposition and armed thugs, basing its findings solely on testimony received from or reported by members of the opposition or gleaned from media hostile to the Nicaraguan government. It even includes the deaths of people supposedly killed by police brutality who are still alive. 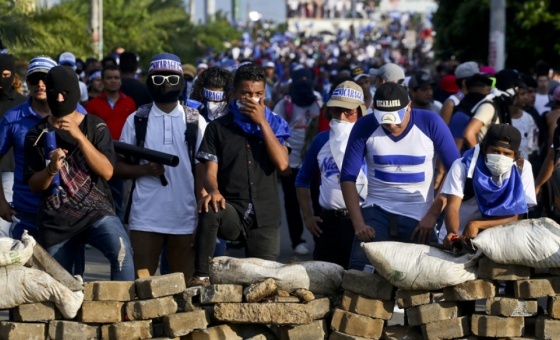 In his address to the Organisation of American States, OAS, Nicaragua's Foreign Minster, Denis Moncada, said that the report deliberately omits all the armed attacks, sieges, harassment and kidnappings by protesters. The IACHR would do well to heed his words: The state of Nicaragua continues and will continue to work for peace and stability, so that truth and justice, social order, security, and the human rights of all Nicaraguans and people who are in our territory prevail.